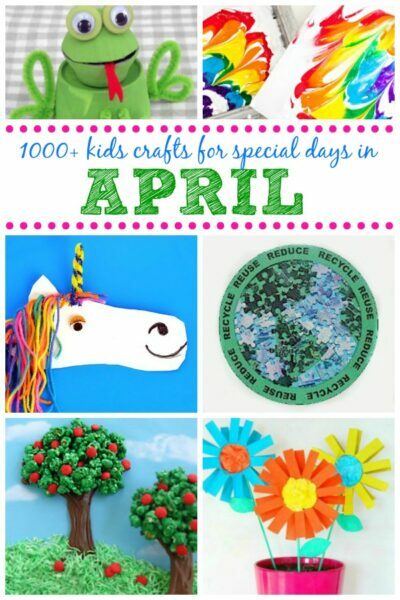 April is a wonderful month for crafting. Whether you’re looking for April Fool’s Day ideas, Earth Day projects, or activities for National Garden Month, we have it all. Follow any of the links below to find the perfect project, or search through the 11,000+ craft tutorials we’ve collected here at Fun Family Crafts. Whatever occasions you’re celebrating this month, check Fun Family Crafts for all sorts of kid-friendly craft tutorials. Happy April!